The GearWrench Body Dent Remover pulls dented sheet metal back into place, the 16.5'' long shaft enables a high pulling force, slide hammer shaft has a 1/2 20 UNC thread, and a handle length of 4.75''. To use the GearWrench Body Dent Remover drill a hole in the deepest part of the dent, insert hook or self-threading screw tip and tap lightly with the 2 lb slide hammer to remove the dent..
GearWrench door panel remover 4 piece set. Set includes tools to help remove door panels with minimal damage. 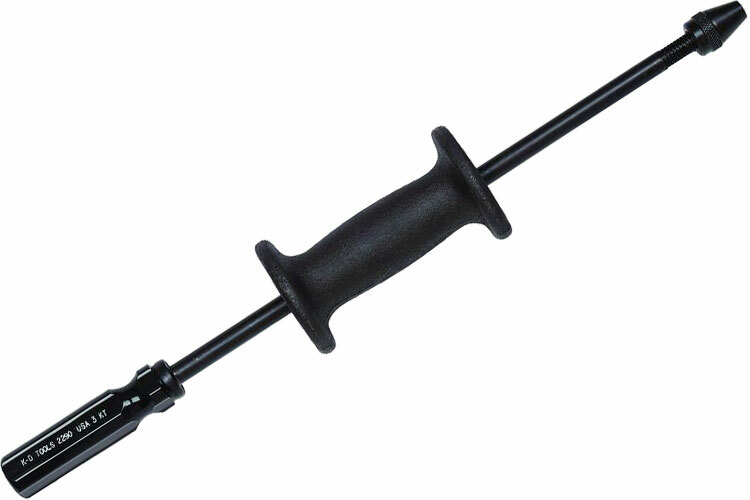 GearWrench 20'' door panel remover. GearWrench 10'' door panel remover u shape. GearWrench door panel remover square shape. GearWrench door panel remover v shape. GearWrench body clip 3 piece pliers set. GearWrench push pin pliers 2 piece set. GearWrench push pin removal pliers. GearWrenchhog ring pliers 2 piece set. GearWrench hog ring straight pliers. GearWrench hog ring 45 degree pliers. GearWrench trim pad removing tool. GearWrench door handle and window lift remover. The 229070 GearWrench Body Dent Remover is one of thousands of quality tooling products available from MRO Tools. Please browse GearWrench Body Tools for tools similar to the 229070 GearWrench Body Dent Remover. 229070 GearWrench Body Dent Remover description summary: GearWrench window moulding remover Quantity discounts may be available for the 229070 GearWrench Body Dent Remover. Please contact MRO Tools for details.